Republican voters are most concerned about North Korea when they head to the polls this year, according to a new survey. Healthcare was the most important issue nationwide, but just 13% of Republicans agreed. Many around the globe are worried that President Donald Trump's will escalate his rhetoric with North Korea. Republican voters are most concerned about North Korea when they head to the polls this year, a new poll suggests. According to a poll conducted by the Kaiser Family Foundation, nearly a third of GOP voters, 31%, listed the situation with North Korea as the most important issue for congressional candidates to discuss in their upcoming campaigns. Republicans listed immigration and the economy as the next most pressing issues in 2018, with 27% and 25%, respectively. Healthcare topped the list of priorities for voters nationwide, with Democratic voters at 39% and independent voters at 32%. But healthcare is the most important issue for just 13% of Republican respondents. The only issue fewer Republicans voted the most important was climate change, which was the top priority for just 1% of respondents. The poll surveyed 1,215 adults from across the political spectrum earlier this month. The poll had an overall margin of error of 6% for Republican and Democratic respondents. Tensions boiled between North Korea and the US this year, amid North Korea's increased ballistic missile testing and heated exchanges between President Donald Trump and North Korean leader Kim Jong Un. 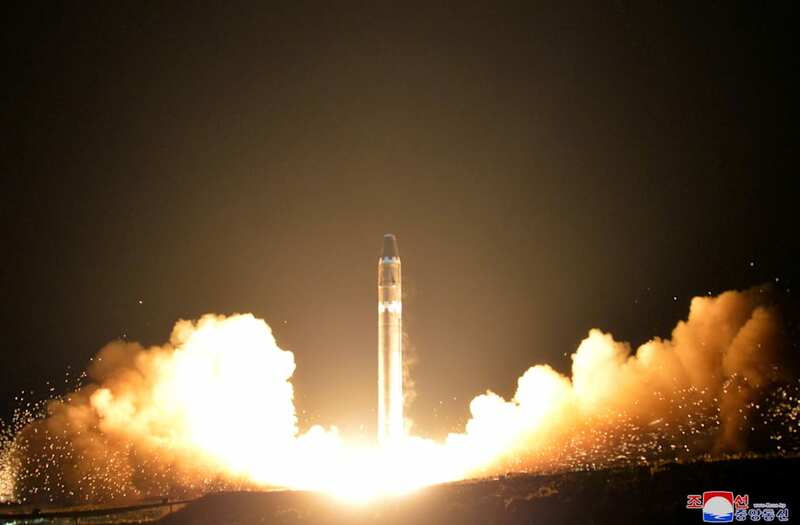 Many around the globe are worried about rhetoric with North Korea escalating further as Trump has reportedly considered a limited preemptive strike on North Korea.